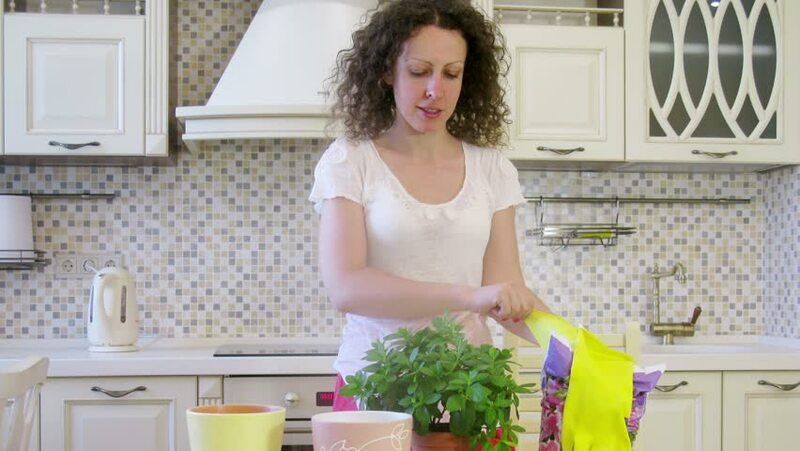 Woman planting plants in pots at kitchen, daughter filed bag to ground. Time lapse. 4k00:30Beautiful young girl wearing home clothing standing in modern kitchen with glass of orange juice and smiling. 4k00:28Young content woman in home clothing dancing and singing with wood spoon in hands while preparing morning meal in kitchen.